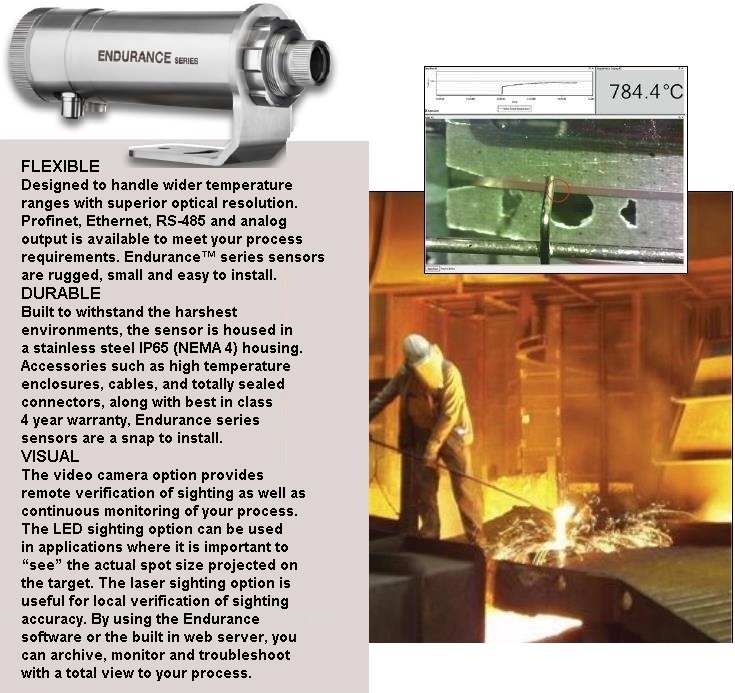 Endurance sensors have a rugged stainless steel housing designed to meet IP65 (NEMA 4) environmental requirements in high ambients up to 65°C(149°F) without cooling. Fluke Process Instruments stands behind our product with best in class 4 year warranty. Isolated analog outputs and sensor protection circuitry prevent sensor damage from mis-wiring at installation or unstable power supply line voltages. Plot the temperature values of an Endurance sensor with high resolution video image. High and low alarms are shown, making it easy to identify out-of-range conditions. 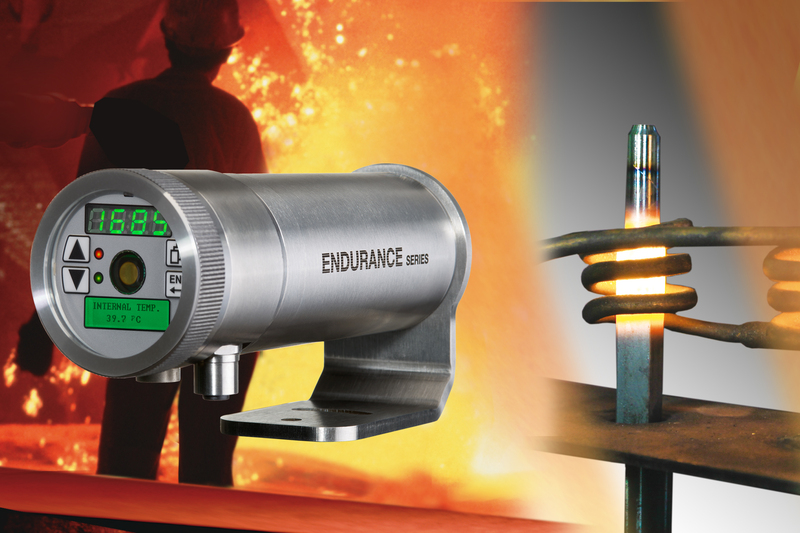 Endurance software makes it easy to remotely configure Endurance sensors from the safety of the control room. Full access to all sensor settings is achievable from the backlit rear panel. This panel displays the indicated temperature, system alarm status, as well as all sensor parameters. Using the onboard Ethernetoption, you have access to a web server, Power over Ethernet, ASCII over Ethernet and video if the camera option is selected for the sighting method. The camera option can be used to stream a view of your process(while showing exactly where the pyrometer isaimed) right into a control room to see what is happening at the exact instant a temperature event occurs. 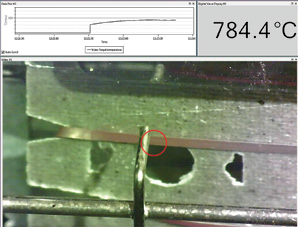 For local verification of sighting in applications where the sensor is in a restricted area, a laser option is available to locally verify that the sensor is sighted properly. Alternatively, you can use the LED sighting option which allows you to see the actual spot size projected on your target. Use the SpotScan™ accessory to allow Endurance sensors to monitor temperatures over a line where temperature variations or peak temperature monitoring is important. Endurance sensors are supported by rugged accessories, like the ThermoJacket enclosure that provides environmental protection with integral water-cooling and air-purging. 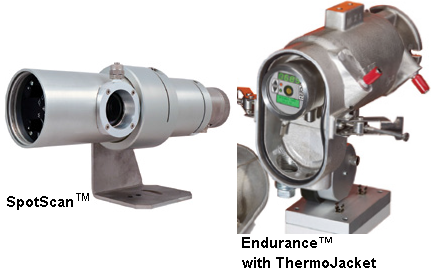 Endurance integrated sensors can be installed or removed while the ThermoJacket is in its mounted position. Additional accessories are available for customized installations. Optional furnace wall mounting system allows fast, production-specified installation of the sensor heads. These accessories protect the mechanical components of the sensor and provide air purging to keep the optics free of moisture and dust. The ThermoJacket protective enclosure enables use in ambient temperatures up to 315°C (599°F). The new SpotScan accessory scans the measurement spot over a line. When operating SpotScan with the sensor peak- picking function enabled, users are able to pick peak temperatures over a larger area.